Puppy Care – Welcome to Tin Star Pups! This page has been constructed to help you prepare for your new puppy, and then also care for it after he or she joins your family. I have included a variety of information on basic care, vaccinations, training, and more. Look around and let me know what was most helpful to you. Also, if you have other recommendations that would be helpful to others, please comment below and I will look into adding them to this library. Thanks! 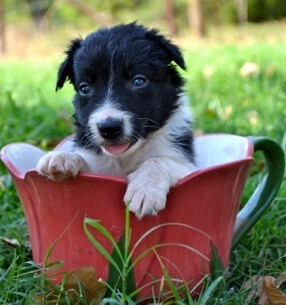 See Websites and Articles and the Library pages for books and articles I have found helpful and highly recommend for information on raising your new Border Collie. For information on which vaccinations your puppy needs, visit the Vaccination Schedule to view the schedule I have adopted and applied for my dogs and puppies.